The outgoing president of the St. Boniface Hospital medical staff believes the hospital's policy to refuse medically-assisted deaths violates the charter rights of some of the most vulnerable patients. The outgoing president of the St. Boniface Hospital medical staff believes the Winnipeg hospital's policy to deny medically assisted death violates the charter rights of some of the most vulnerable patients. Medical assistance in dying, or MAID, will not be provided at St. Boniface Hospital after the board, which manages the hospital, voted against it on June 12. Dr. Marcus Blouw, a former member of the St. Boniface board, disagrees that the current board — largely compiled of those without clinical expertise, he said — should be able to overrule the decisions of patients and clinicians. "A patient or their family is going to have to challenge faith-based institutions and challenge this status quo. I don't think that a jury of Canadians would support the rights of an institution over the rights of a dying patient," Blouw said. "To be more brazen about it, I think that ultimately this will be challenged in court as discrimination on the basis of religion." On Monday, the chair of the St. Boniface board, Tom Carson, said the Catholic Church does not agree with medically assisted death and that is why the service is not available at the hospital. 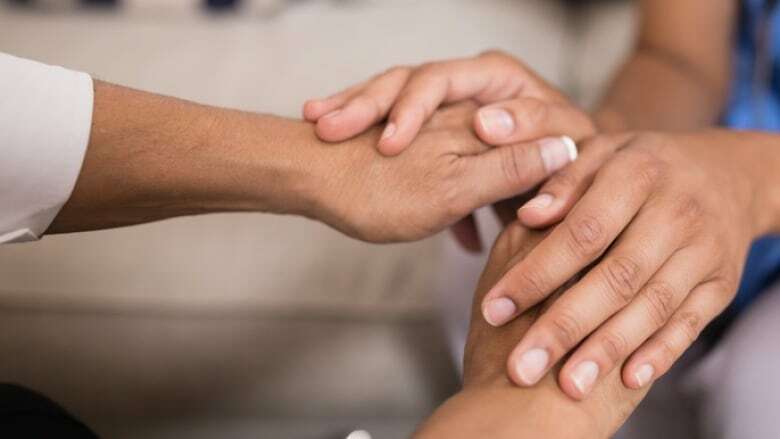 On May 29, the board of St. Boniface Hospital voted in favour of allowing doctors and other medical staff to assist some patients to die in special circumstances. But on May 30, the hospital's management team — Catholic Health Corp. of Manitoba — held a special meeting and appointed 10 new members of the board, which overturned the policy two weeks later. The newly appointed members were all part of the Catholic Health Corp. of Manitoba. Blouw wants the Winnipeg Regional Health Authority to take control of St. Boniface Hospital away from the Catholic Health Corp. of Manitoba. "Why should St. Boniface hospital be managed any differently than any other facility in this city?" he asked. Currently, the hospital is funded and staffed by the Winnipeg Regional Health Authority, but takes direction from the Catholic Corporation of Manitoba via the St. Boniface board of directors. That is the result of an agreement, signed in 1996, between the WRHA and the faith-based sites that are responsible for their own operations. CBC has requested a copy of the agreement from the province. "The people who end up there [St. Boniface Hospital] do not by and large end up there by their own choice. They end up there because they live in the catchment area or because they have a cardiac problem or a palliative care problem, and they go to the hospital that delivers the service that they need," Blouw said. Manitoba Health Minister Kelvin Goertzen said he has no problem with the way medically assisted death is rolling out for patients in Manitoba. (Jeff Stapleton/CBC)"I think very few people are making the conscious decision to go to that hospital because they know it abides by the Catholic Health Ethics Guide, or that it has this history of being founded by the Grey Nuns," he said. "I don't think Canadians, in 2017, are making their medical decisions that way. And everybody pays their taxes equally and the public purse is paying for the day-to-day running of this hospital. So I don't understand why a third party should continue to have management authority over clinical decisions that get made there." 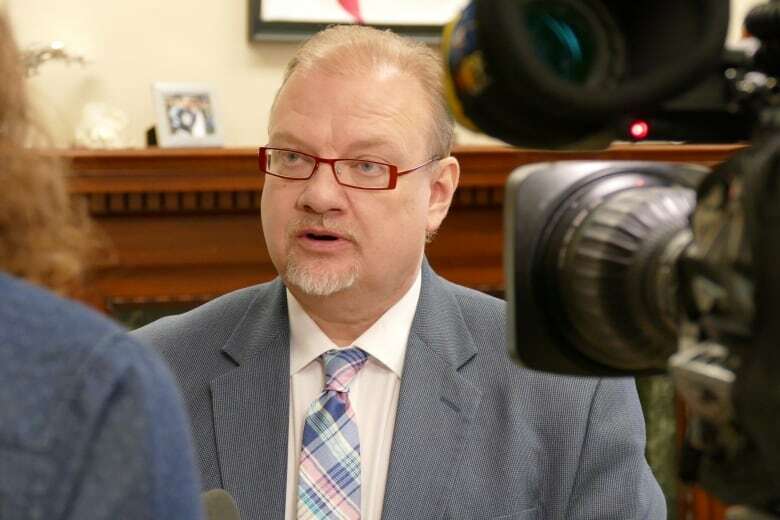 But Health Minister Kelvin Goertzen, while admitting the issue is a "challenging" one, argues medically assisted death is rolling out in 'a balanced way' in Manitoba, respecting the wishes of both faith-based institutions and the choices of patients. Patients at any hospital in the province are able to speak with the province's MAID team. However, if they choose — and qualify — to receive the medication that will end their life, they must be transferred to a facility that provides the service if the hospital they are at refuses. "We've struck the middle ground by ensuring there's a balance and I think we've done better than most other provinces," Goertzen said. "We've ensured there's access, we ensure that there's respect for individual facilities, and we ensure that people who want the procedure get it. And I think that is the middle ground, and we've struck it well." Blouw disagrees, especially given that the most complex palliative patients are generally at St. Boniface Hospital and won't have access to on-site medically assisted death. "There are interventions and procedures that are done at St. B. that aren't available anywhere else for palliative care patients," he said. He's concerned about the extra distress that transporting these patients will cause. Already, one patient seeking a medically assisted death died in transport from St. Boniface Hospital to the receiving facility, the CBC learned from an internal memo dated March 1. "We're especially talking about patients in the worst state of suffering and vulnerability and they're requiring those tertiary palliative care therapies. I think by definition they will be receiving less during transportation and maybe also in the receiving facility where they end up going," Blouw said. He added the board's recent commitment to improving the safe transfer of these patients is a good thing, but misses the point. "I just don't think that it's fair to those individuals to say that you have to endure some period, even if it's just for an ambulance ride, of exacerbated suffering because we don't agree with your choice." Last year, the federal government amended the Criminal Code with Bill C-14 to allow doctors and nurse practitioners to help patients with "grievous and irremediable" illnesses to die. Manitoba introduced its own policy to implement medical assistance in dying that same month. Goertzen said while the Supreme Court decision makes medically assisted dying legal, it did not indicate that there should be universality in the facilities that provide it. "Not every procedure is available and offered in every health care facility and this procedure, there's a requirement for access and we're fulfilling that requirement," he said. However, the Canada Health Act — which is federal legislation that guides how health care should be carried out in the country — is based in part on a principle of universality that the Catholic Church is eliminating for the patients at St. Boniface Hospital, said Blouw. "St. Boniface will probably continue to provide very competent compassionate care to these people. My concern is about the rare and exceptional cases that are not going to fit that profile. And I think a preponderance of those rare and exceptional cases are going to end up on the palliative unit at St. Boniface," he said. "The idea that the rights of an institution, or the conscience of an institution — if you believe in bricks-and-mortar buildings having feelings — the idea that those things supercede the rights of a patient who is by definition vulnerable and dying is completely out of step with the moral and ethical code of most Canadians."